March 14 is internationally celebrated as a Pi Day, the mathematical constant π, since 3, 1 and 4 are the first three significant digits of π. 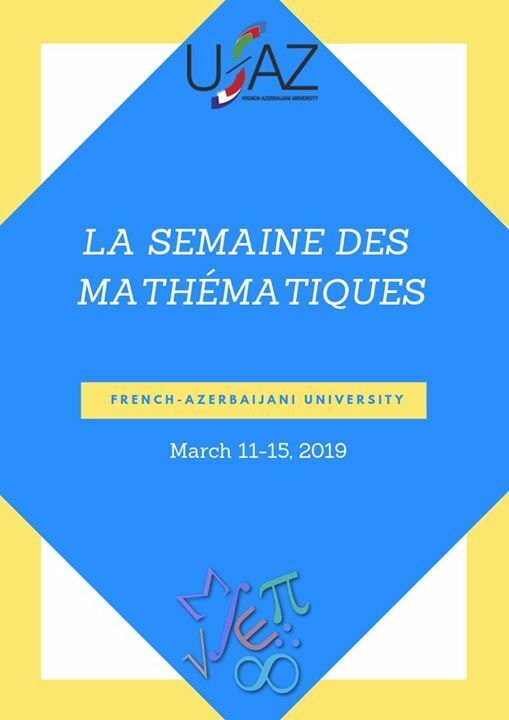 In relation to Pi Day, the week of March 11-17 is marked as “La semaine des mathématiques” by the Ministry of National Education in France. The purpose is to promote mathematics among young people around the world. 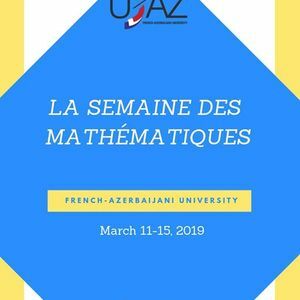 This year UFAZ also joins this celebration and will organize a series of events dedicated to math during the week of March 11-15. We invite everyone to enjoy the math week with us. Seminar: "Həyata qarşı sağlam uşaq böyütməyin düsturu"